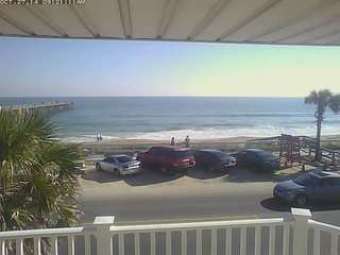 It's 05:15 in Flagler Beach, USA right now. Beach View A view of the beach of Flagler Beach, Florida. Daytona Beach, Florida: Volusia County Lifeguard HQ Admin Center, 19.8 miles away. Ponce Inlet, Florida: Sea View, 28.6 miles away. St. Augustine, Florida: Marina, 31.5 miles away. New Smyrna Beach, Florida: Volusia County EMA - Life Guard #6, 33.3 miles away. Zellwood, Florida: OCFR - Fire Station # 20, 58.8 miles away. Winter Park, Florida: Orange County Fire and Rescue EMA, 61.8 miles away. Titusville, Florida: Ivanhoe Motor Yacht, 62.7 miles away. Orlando, Florida: Orlando Exec Airport Aircraft Maint Support, 65.3 miles away.